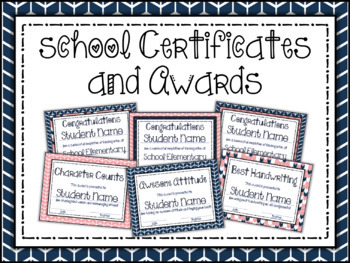 Celebrate the end of the year with these colorful awards and certificates. 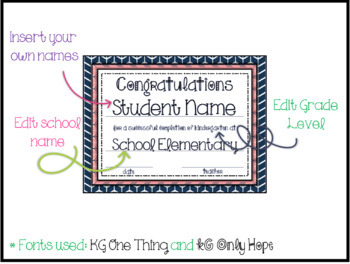 Editable Certificates - Editable so you can choose your own fonts and colors. 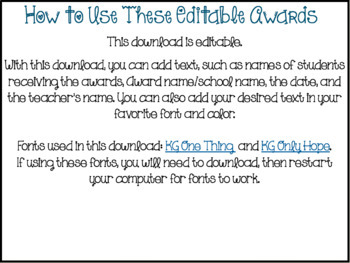 Editable Student Awards - 18 pre-made, so you have a place to start. 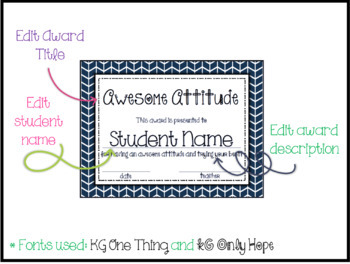 Fonts needed: KG Only Hope and KG One Thing. If you enjoyed this download, please visit my store for other products and activities.